ようこそ、日本語ハウスへ！　The Japanese House welcomes you! 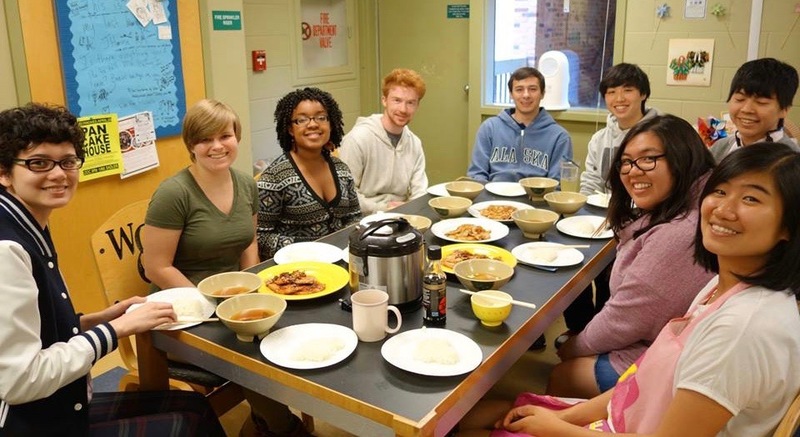 Experience the Japanese world through immersion in the Japanese House, located on the third floor of Preston Hall in the Randolph Complex. Our in-house tutor leads conversation and tutoring hours, along with social activities such as cooking and movie nights. Please visit the J-House Facebook page for more information. Also contact the Japanese Language House Tutor [[ksuzuki01, Kaoru Suzuki]] or Japanese House Advisor [[akitamura, Aiko Kitamura]]. Students who wish to apply should visit the Special Interest Housing section of Residence Life's website or contact [[msherman, Michelle Sherman]] in the Department of Modern Languages & Literatures.